Amazon today released its first numbers offering some insight into how many people are streaming music over its new Amazon Prime Music service a little over a week after its launch. Before you ask, I’ll say straight out that par for the course with Amazon, there are no specific sales numbers: “Prime members streamed tens of millions of songs—that’s millions of hours of music—and added tens of millions of songs and more than a million Prime Playlists to their music libraries, for free,” the company notes in its statement. It’s hard to make a direct comparison with other services when you don’t have like-for-like numbers but perhaps as one measure of audience, or engagement, when Spotify reported 10 million paying users (40 million overall) in May, it noted that there were some 5 million playlists being created each day on average. For now, Prime Music is turned on only for U.S. Prime subscribers. Amazon Prime Music currently has over 1 million tracks and is heavy on playlists, and as we pointed out in our previous story, is still lacking in some regards: no content from Universal Music and a clunky user experience that requires tracks to be added to your library before you can play them. But with the focus on sweetening the deal for people to sign up to Prime subscriptions to drive more physical sales, and driving more brand loyalty for Amazon overall — its growing range of devices from e-readers, to Fire tablets and now its new smartphone attest to this too — the company appears to be getting its just dessert. In any case, the company says the offerings will be expanded: “We’re looking forward to continuing to add new artists, albums and playlists so we can keep Prime members singing, dancing, driving, working out and rocking to their favourite music,” Boom added. As a point of comparison, consider the company’s video streaming service and its regular stream of new third-party and original content. Beyond Amazon’s Amazillion users, there are some other indications of how the service is faring, at least in these early days. AppAnnie puts the Amazon Prime Music app ranking on iOS at number 9 in music, and 68 overall; on Android it’s 6 in music and 50 overall; and 5 and 125 in the Amazon Appstore. Its reviews however are less than stellar, with less than three stars on Apple’s App Store, as pointed out by AppsFire. 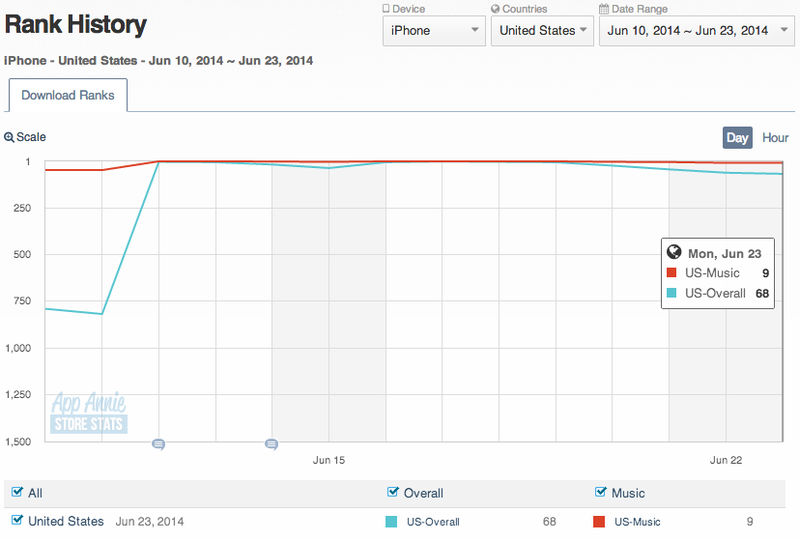 In other words, for now, Amazon is already a noisy player in the music market.